Brighton & Hove Museums have been presented with a unique and valuable vase which depicts Princess Charlotte of Wales, the only child of the Prince Regent, later George IV. The vase was officially handed over by its owner, Mr Ronald Pedley, at an informal meeting in the Red Drawing Room at the Royal Pavilion this week. 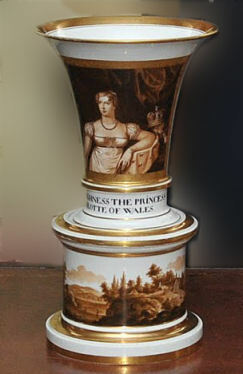 The vase will form the centre piece of a new exhibition on Princess Charlotte that opens at the Royal Pavilion in March 2012. Charlotte Augusta was born on the 7 January 1796, and died on the 6th November 1817; her mother was Caroline of Brunswick. As the Prince Regent was estranged from his wife, he left most of Charlotte’s care to governesses and servants. But it is said that Princess Charlotte enjoyed some of the happiest times in her short life in her father’s palace at Brighton. Sadly, Charlotte died in childbirth aged 21 in 1817. Mr Ronald Pedley, who donated the vase was born in Yorkshire and emigrated to the USA. He started collecting British Royal Commemoratives when on overseas trips to countries which were once part of the British Empire, or had links with Britain. Surprisingly, he discovered the Princess Charlotte vase in 1987, in an antique shop in Mexico, a country with no British links. 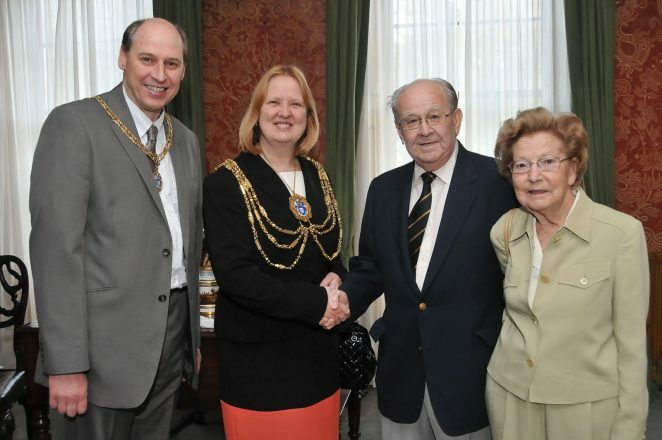 The Royal Pavilion & Museums Foundation, which is a registered charity, will make Mr Pedley an Honorary Patron in recognition of his gift.